The DF-1PF A.2 Isolation 2 sec. 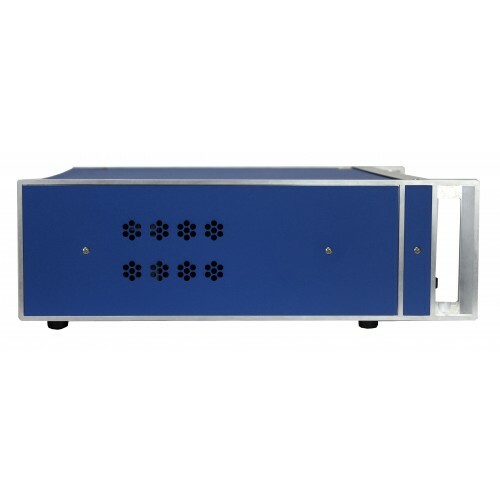 surge Tester is designed to generate the waveform described in AAMI DF-1, Figure A.2., for the Lead Connector electrical isolation test in AAMI DF-1, Annex A. The test can be set to automatically conduct the first 490 cycles (500 ± 50 as shown in Standard) of the test, and then stop testing to allow laboratory personnel monitor the last 10 cycles in accordance with the Standard. Voltage and current BNC outputs make waveform analysis convenient. For an example, please take a look at the output voltage and current waveforms of a simulated test in the Manuals section below. (Please note that these tests were conducted at 1300 Volts instead of the required 1500 volts. The MegaPulse DF-1PF is capable of a pulse output of up to 1500 volts every 2 seconds. TestMinder USB control is included to allow automated repetitive testing. The test signal includes the waveform cutoff at 750V/18msec as shown in Figure A.2. Please see the Standard Figure A.2, and the actual output of the MegaPulse DF-1PF Isolation Tester. A front-panel switch reverses the output polarity. Additionally provided with BNC oscilloscope output for voltage (100:1) and current (1V/A) for output monitoring. The waveform output is 1.05uS rise time, with a 18mS duration, with an output impedance of 500 ohms. Generates the waveform required for the Isolation Test, AAMI DF-1, Appendix B, and described in AAMI DF-1, Figure A.2. Actual graphs showing the output of your tester are included with each MegaPulse DF-1PF, allowing easy sanity checks and proof to visiting agency engineers of test setups. BNC Oscilloscope outputs allows quick connection and easy evaluation of voltage and current output waveforms. TestMinder computer control allows automation of the required 490 cycles; then the operator can conduct the last 10 cycles in which the current waveform must be monitored. (Waveform capture is not provided). 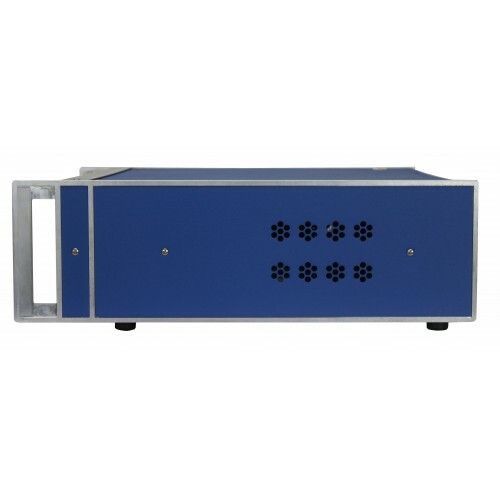 Compliance West Surge Tester MegaPulse DF-1PF A.2 Isolation 2 sec.